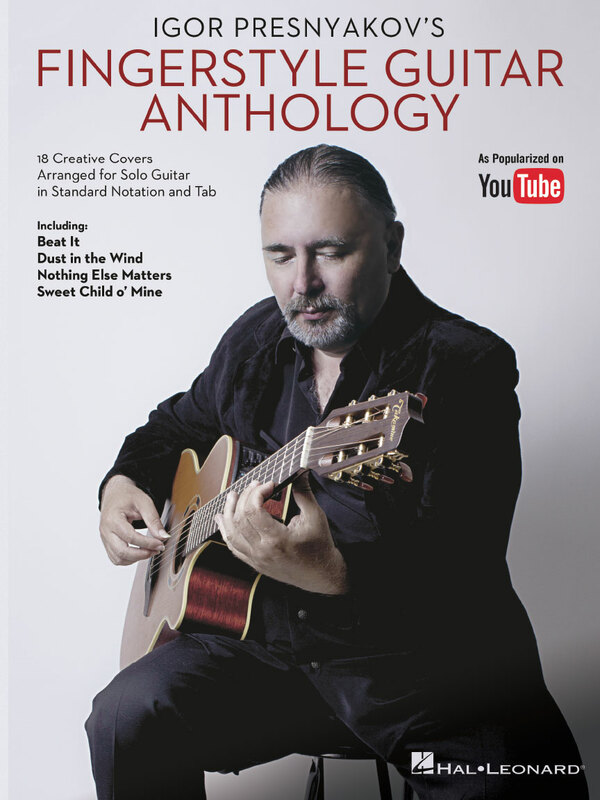 IGOR PRESNYAKOV'S FINGERSTYLE GUITAR ANTHOLOGY. Now you can emulate YouTube phenom Presnyakov's unique playing and arrangements with his official tab collection featuring 18 songs: Beat It • Dust in the Wind • Every Breath You Take • He's a Pirate • Hello • Nothing Else Matters • Smells like Teen Spirit • Stand by Me • Still Got the Blues • Sweet Child O' Mine • Zombie • and more. Arrangements are presented in standard notation and tablature. FINGERPICKING LATIN FAVORITES. SHEET MUSIC BOOK WITH GUITAR TABLATURE. Here are 15 beloved Latin favorites, carefully arranged for intermediate-level guitarists. Each solo combines melody and harmony in one superb fingerpicking arrangement, with tablature. Songs: Adios • Amor • Bésame Mucho • A Day in the Life of a Fool (Manha De Carnaval) • Dindi • Frenesí • Granada • How Insensitive (Insensatez) • A Man and a Woman (Un Homme Et Une Femme) • Meditation (Meditacao) • One Note Samba (Samba De Uma Nota So) • Samba De Orfeu • Sway (Quien Sera) • Wave • You Belong to My Heart (Solamente Una Vez). The book also includes a helpful introduction to basic fingerstyle guitar. CINEMA CLASSICS FOR GUITAR, SAURE VOLKER. SHEET MUSIC BOOK WITH CD & GUITAR TABLATURE. 2 TRASCRIZIONI DI OGNI TITOLO. PER VOCE CON GLI ACCORDI, E PER CHITARRA FINGERSTYLE. Movie themes have their own special appeal. Their role is to convey and amplify the atmosphere and emotions of moving pictures. In many cases they take on a life of their own and it is such titles as these, classics in their own right, which we selected for this book. 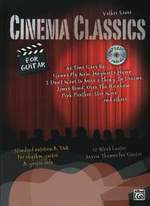 With this ‘Cinema Classics’ series we wanted to make sure that musicians at home were given the chance to play along with real musicians on the accompanying CD, not digitally created sounds.With a lot of effort and patience in both arranging this broad musical palette and recording the play-along CD, we have been able to create play-alongs that are live studio recordings. Through this we can make a broad spectrum of styles accessible to the player, be it a classical orchestra, a jazz orchestra, a jazz combo, a rock and pop band or any of the possible line-ups in between. We are especially proud to have top-class musicians of the contemporary European music scene on our recordings. Their unique interpretations make it a worthwhile experience to just listen to the tracks, let alone having yourself accompanied by top notch musicians. Rock, swing, bluster and groove with these playbacks. Movie theme sheet music is something that has become more and more widely available for piano and melody instruments. This genre is particularly appealing to many musicians, mainly because the titles are so well known and instantly recognisable. That being said, up until now, guitar arrangements of movie themes have been very hard to come by. The reason for this is that film music is mostly written for large orchestras and is thought to be too challenging for guitarists. To close this gap in guitarists’ repertoires a new edition of ‘Cinema Classics’ and created these arrangementsof great movie composers such as John Williams, Ennio Morricone, John Barry, Michael Legrand and more. All of the soundtrack titles in this book are portrayed in two versions. One version is the melody line only, in both TAB and standard notation, written with chord symbols and the lyrics, where applicable. The other version is a solo arrangement for classical guitar, again in both TAB and standard notation. On the accompanying CD are recordings of the solo arrangements which can be used as a play-along track for the melody versions. The skill levels for these pieces vary from easier two-part arrangements to medium level arrangements that are a little more complex. POP-HITS FOR CLASSICAL GUITAR. SHEET MUSIC BOOK WITH GUITAR TABLATURE. 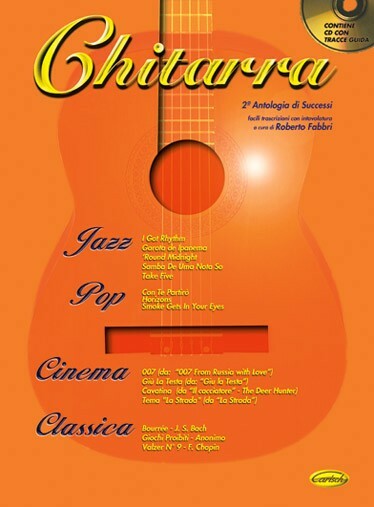 LIBRO DI MUSICA POP, PER CHITARRA FINGERSTYLE. Die Konzertgitarre verfügt nicht nur über ein reichhaltiges klassisches Repertoire, sondern ist auch in den verschiedensten populären Stilen zu Hause – die Spanne reicht dabei von sanften Jazz-Evergreens bis zu unsterblichen Popsongs. 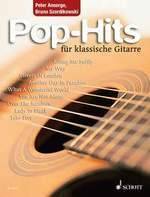 Die überarbeitete und erweiterte Neuausgabe der "Pop-Hits" präsentiert die 23 bekanntesten Melodien aus Folk, Pop, Jazz und Film in leichten bis mittelschweren Arrangements für klassische Gitarre. Die ergänzende Tabulatur unterstützt Gitarristen, die bei der Erarbeitung der Songs die Griffschrift bevorzugen. Die beigefügten Akkordsymbole über dem Text ermöglichen einem zweiten Gitarristen das Mitspielen. Und schließlich fasst eine Akkordtabelle im Anhang alle verwendeten Akkorde übersichtlich zusammen. 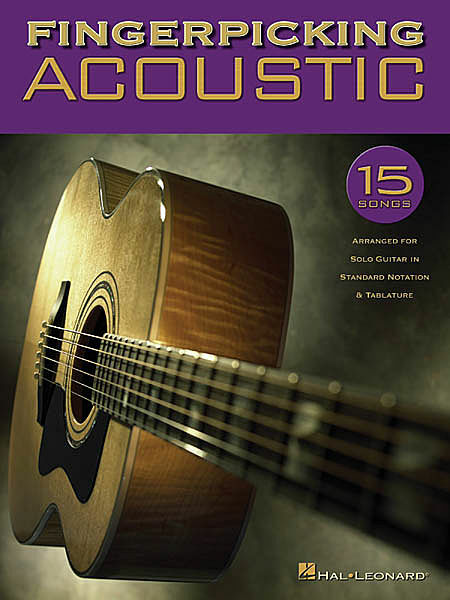 FINGERPICKING ACOUSTIC 15 SONGS ARRANGED FOR SOLO GUITAR IN STANDARD NOTATION & TABLATURE. 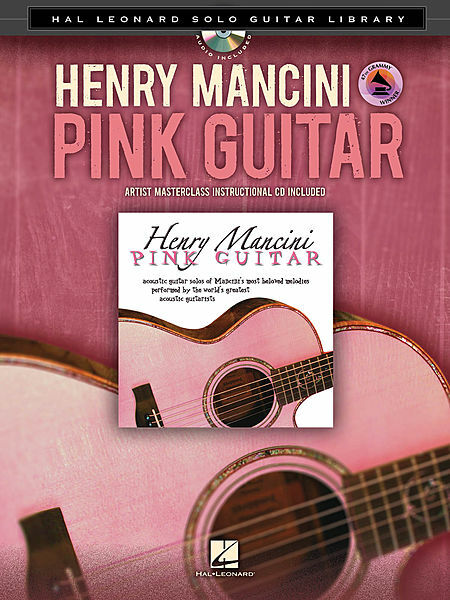 On this Grammy-winning CD, a dozen of the world's greatest acoustic guitarists perform beloved melodies of legendary composer Henry Mancini. Here are solo guitar transcriptions of: Baby Elephant Walk (William Coulter) - Charade (Aaron Stang) - Days of Wine and Roses (David Cullen) - Dear Heart (Wayne Johnson) - It's Easy to Say (Doug Smith) - Moon River (Ed Gerhard) - Peter Gunn (Pat Donohue) - The Pink Panther (Laurence Juber) - The Sweetheart Tree (Mark Hanson) - The Thorn Birds (Al Petteway) - Two for the Road (Amrit Sond) - What's Happening (Mark Dowling). Includes a bonus masterclass CD with performance tips by the artists! 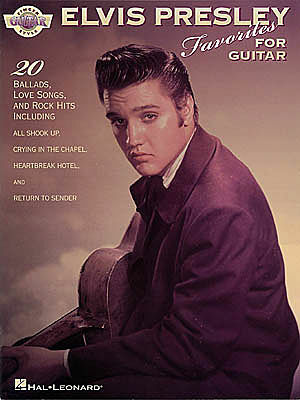 ELVIS PRESLEY FAVORITES FOR FINGERSTYLE GUITAR. SHEET MUSIC BOOK WITH GUITAR TABLATURE. LIBRO SULLA MUSICA DI ELVIS PRESLEY, ROCK AND ROLL. TESTI DELLE CANZONI, ACCORDI, PENTAGRAMMA E TABLATURE. 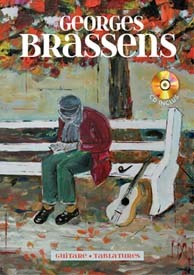 Fingerstyle arrangements of 20 ballads, love songs and rock hits, including: All Shook Up - Are You Lonesome Tonight? - Crying in the Chapel - Heartbreak Hotel - In the Ghetto (The Vicious Circle) - It's Now or Never - Return to Sender - Stuck on You - (Let Me Be Your) Teddy Bear - more.